Set among lush tropical gardens, just a stone’s throw from a glorious stretch of white sandy beach, the Casuarina Resort and Spa, on the enchanting island of Mauritius, is an idyllic destination for a sun-soaked tropical escape. 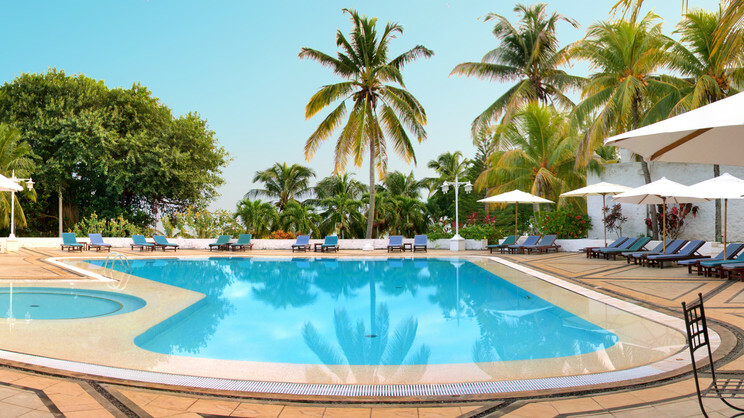 Boasting 2 swimming pools, a spa, jaccuzzi, fitness club and tennis courts, the Casuarina Resort is the perfect location for a romantic getaway, a once in a lifetime family holiday or a dream wedding in paradise. Guests can relax in complete bliss beside 1 of the pools, or take a short stroll to the nearby beach to soak up the sun next to the pristine waters of the Indian Ocean. The more adventurous visitor to the Casuarina Resort can enjoy a number of water sports, including water skiing, kayaking and snorkelling, while little ones are sure to have plenty of fun at the children’s club. If you find yourself needing a break from the sun, the rooms provide a great place to unwind in peace and tranquillity. The resort also has 3 restaurants, with the all-inclusive option helping to take the worry out of mealtimes and allowing guests to concentrate fully on making lasting memories of their dream holiday in paradise. 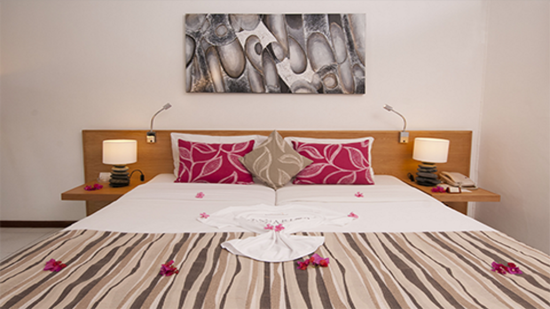 The Casuarina Resort and Spa is approximately 200 metres away from Trou-aux Biches beach. 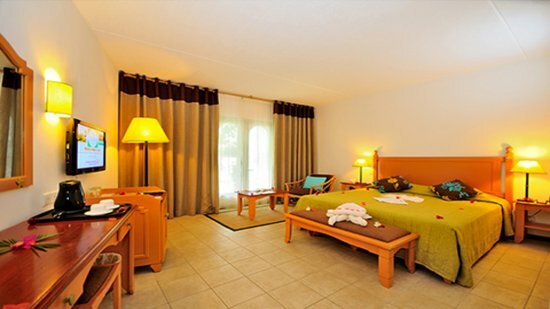 The Casuarina Resort and Spa is about 1km away from a selection of shops and restaurants in Trou-aux Biches. Sir Seewoosagur Ramgoolam International Airport is approximately 66km away from the Casuarina Resort and Spa. Overlooking the picturesque lagoon, the modern Deluxe Rooms offer guests a cosy place to relax in during their stay at the Casuarina Resort and Spa. These rooms can accommodate 2 people. The Casuarina Resort and Spa’s Privilege Rooms provide guests with a comfortable space to cool off after day enjoying the sun. Guests staying in these rooms can enjoy delightful views of the garden and pond. They accommodate 2 people, with space for an extra bed or cot if required. 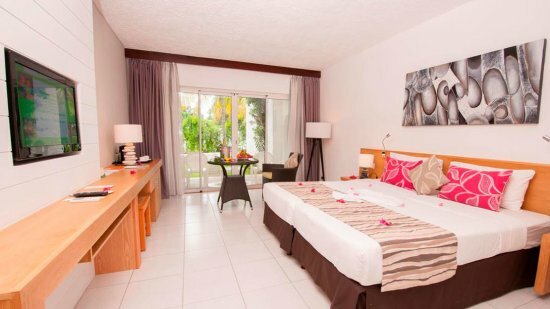 The Casuarina Resort and Spa’s spacious Superior Rooms provide guests with all the comforts needed for a delightful holiday in Mauritius. 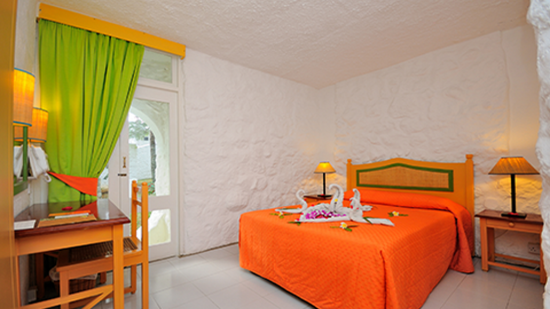 The Superior Rooms include a double bed or a single bed, with an extra bed or cot available on request. Perfect for a once in a lifetime family holiday, these cottages feature a bedroom with a queen-size bed, a children’s room, kitchenette, living room and dining area. They can accommodate 2 adults and 2 children (over 12 years old), 4 adults or 2 adults and 4 children. Serving breakfast, lunch and dinner, the Le Boucanier Restaurant treats guests to a range of delicious traditional and international dishes. This is the perfect place to sample local delicacies and discover creole cuisine. Located close to the Oasis Bar and the swimming pool, Finger’s Restaurant serves a range of snacks and light lunches.